I have always wanted to print some of my favourite photos on canvas. I always thought it was a fun way to display photos. I was recently approached by CanvasChamp to print a photo on a 16 x 20 canvas print. I couldn’t pass up this offer! Ordering on CanvasChamp was very easy. Start by selecting the type of product and size you’d like to order. Then upload your photo and choose how you’d like your border and your finish. You can select extras like frames and you can even add text to your photo. I selected a black border on my photo with the original finish. CanvasChamp has excellent prices! Prints start at just $7.75 Canadian. My 16 x 20 print is only $16.99 CAD! CanvasChamp offers great shipping prices but offers you FREE shipping on all orders over $149CAD. 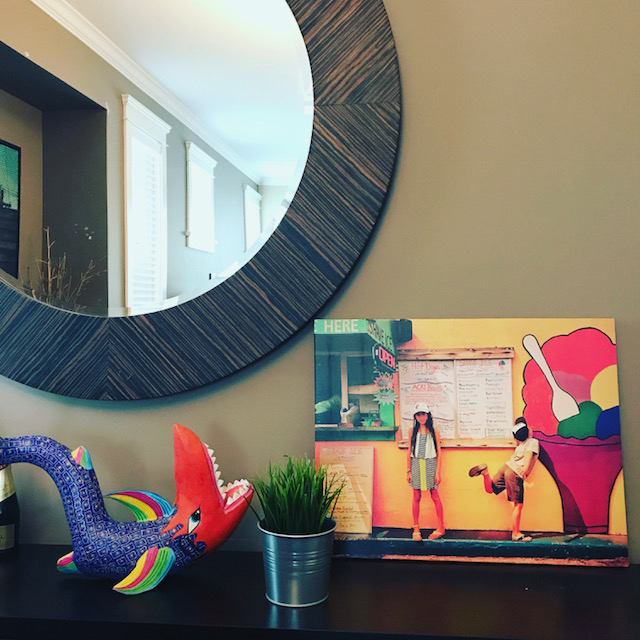 CanvasChamp has so many personalized photo gifts available. You can choose to print your favourite photos on products like pillows, calendars and print photobooks. I am really happy with my canvas print from CanvasChamp. It turned out great. 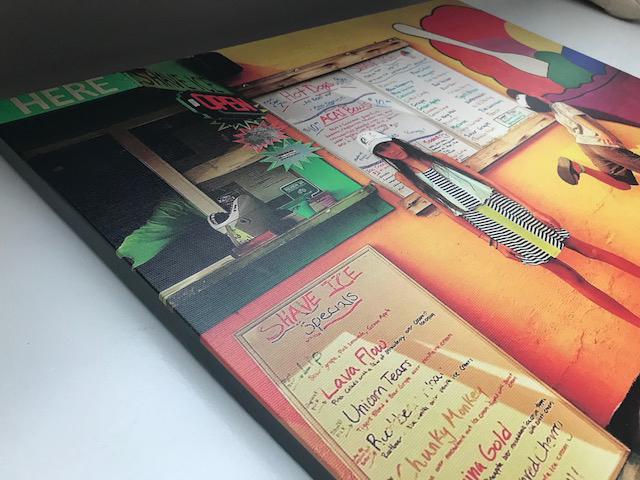 The quality of the print is impressive and the canvas itself is of very good quality. It looks and feels durable. I challenge you to look through your favourite photos and order a beautiful canvas print from CanvasChamp. 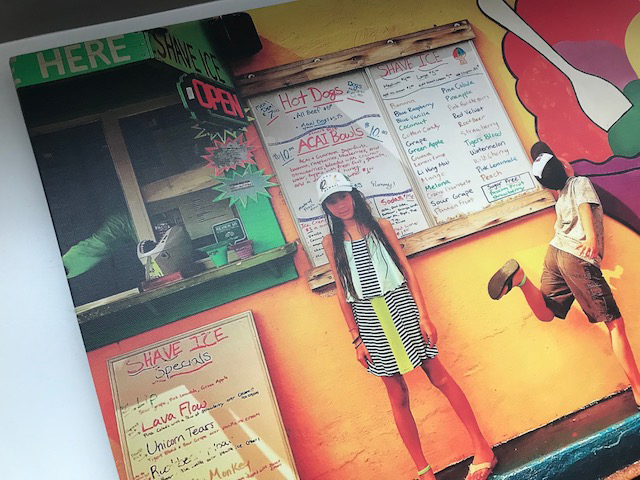 The team at CanvasChamp is giving one of my lucky readers a 12 x 8 canvas print. To enter, describe a photo you would like to print on canvas in the comments below, then fill out the Rafflecopter form. Giveaway is open to Canadian residents. Mandatory question must be answered to be eligible to win. Giveaway runs from June 20 – July 2, 2018. Void where prohibited. See my Terms & Conditions for full giveaway info. My dog on the lawn. Would use a recent family photo of us at the beach. I’d love to put our family portrait on canvas. I have beautiful sunrises from at our cabin at the lake….so many really great ones to choose from…I might have to get more than one!! I would like to get a photo of m grandchildren on the canvas. I would love to create a canvas of my kids for my work office. My pom-chi recently passed and I would get a canvas done of him for memories!! I have a photo of my kids at the beach. I would love to put that on a canvas. I have some great scenery shots that I’ve taken with my camera so I would choose one of those. I’ve got a great winter photo of my kids that would look great on canvas! I have a picture of my family from my wedding day last October that I’d love to print and hang on our wall. I would love to print a recent family pic to hang at my trailer. I would love to get a photo of my family onto canvas: we are all smiling at the park. I would love to have a canvas print of my beautiful grandchildren! What a great idea! I love canvas prints! I would probably print one of the photos of our family out camping– our happy place. It’s nice to capture these moments in time! I have some of the kids, but what I don’t have is one of my cats and I have an awesome picture of them perfect for a wall canvas. I have a picture of my daughter rolling out a tortilla that I love. A recent family photo from our vacation to Puerto Plata, DR! We have tons of our children or even a recent one of the entire family my Wife and i were just talking about getting something like this done so would love to win this! I have a great picture of my son running up to the castle at Disneyland with his Mickey ears on. Love it! Oh I have a few that I would love to print. I would like to have he photo of my granddaughter picking blueberries on canvas . It is quite special. Love to have a new photo of the little ones!! We went to a family wedding and had some pictures taken there, would love to get one of those on canvas. My husband loves putting photos on canvas but haven’t tried canvaschamp!! would love to win and try them out!! I would use a recent family picture we took from Disney! I have a few great photos I’d like to put on canvas. Haven’t decided which one yet.